Solarward was founded in 2003 by Kondrath. From the very beginning it was supposed to be a one man project with no live activity, just for studio work. The music was some kind of raw melodic black metal at first, diluted with thrash and death later. The main part of the first CD called As The Sky Stares Down was composed in 2004 - 2005 and in 2006 it was fully recorded. It contained seven tracks which lasted for twenty five minutes what was not enough. Nonetheless it was DIY-released in twenty copies. Later this material was re-recorded and supplemented with new tracks to be released by a label. Soon after that Shuriuk (bass) and Vstrror (guitars) joined the band. Kondrath took the vocals and the rehearsals began. Aske (drums) and Gres (vocals), who played along with Kondrath in Endless Coil, joined later and the band started to perform live. 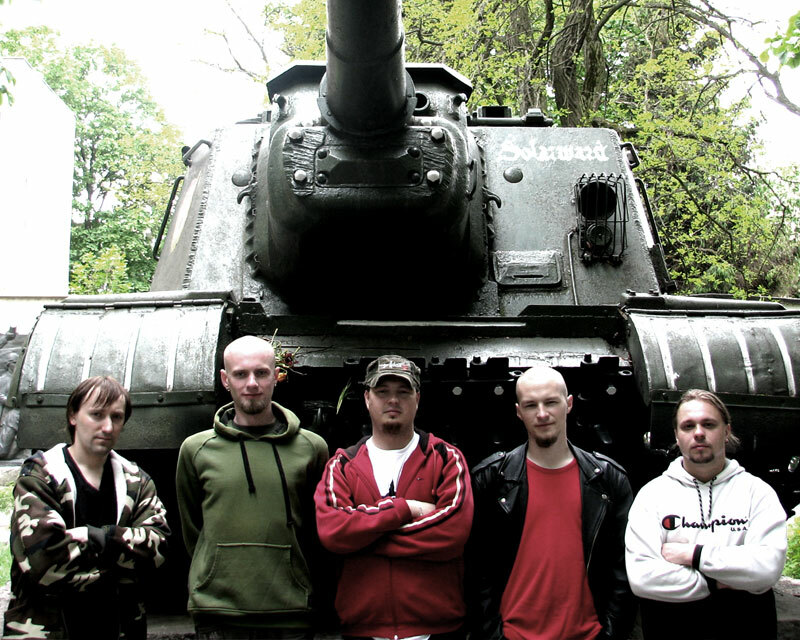 After the second gig Vstrror left the band and was replaced by LSD of IceStorm. Then, because of changing the place of residence, Aske was substituted for Forneus of ID:Vision. This lineup made some gigs and then the wave of replacements came with Shaman on guitar, Pavk on bass and D. S. as a drummer. After the first album had been released, the band started to work upon the second disc. Works went spontaneosly and without any planning, sometimes they were paused and all this continued for two years. All the songs were composed and recorded in 2011 and the disc was titled �How To Survive A Rainout�. There were also guest appearances: Wrathtodd of ID:Vision and Ion of Infestum. Like the first one, this disc was released by More Hate Productions.